I can CABLE, can you? At the beginning of 2015, I set my goal to learn how to cable. I watched many a YouTube video, read blogs and looked at instructions. While it did not look overly complicated, I had yet to find the right project for it. I have finally accomplished the task and used cabling to complete a project. After making my daughter a pair of Lazy Rib Fingerless Mitts, she needed a matching scarf. She did some searching and requested this pattern. I decided no time like the present to use a new skill. Armed with my #7 needles and a cable needle, I set to work. I am here to tell you that cabling is not overly difficult. It just requires a little more brain power than mindlessly knitting row after row in front of the television. Now that I have completed my first cable project, I see me using this more in the future. 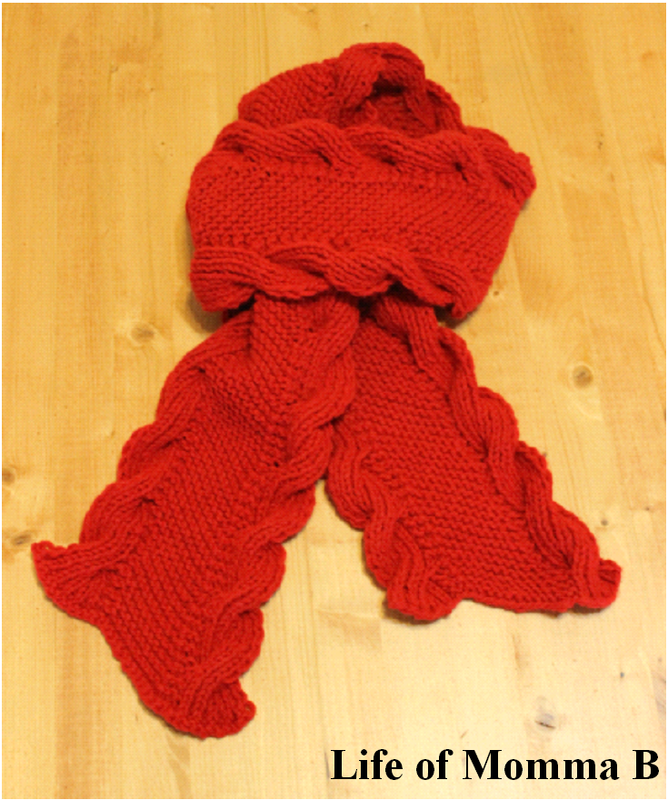 This entry was posted in Knitting and tagged cable, free pattern, red, scarf. Bookmark the permalink.